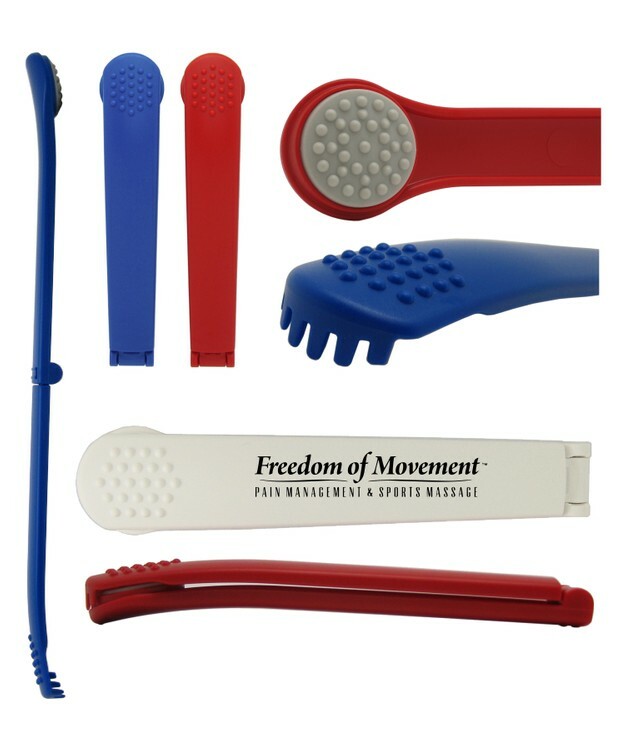 Your campaign “rubs” everyone the right way with the small acrylic massager! 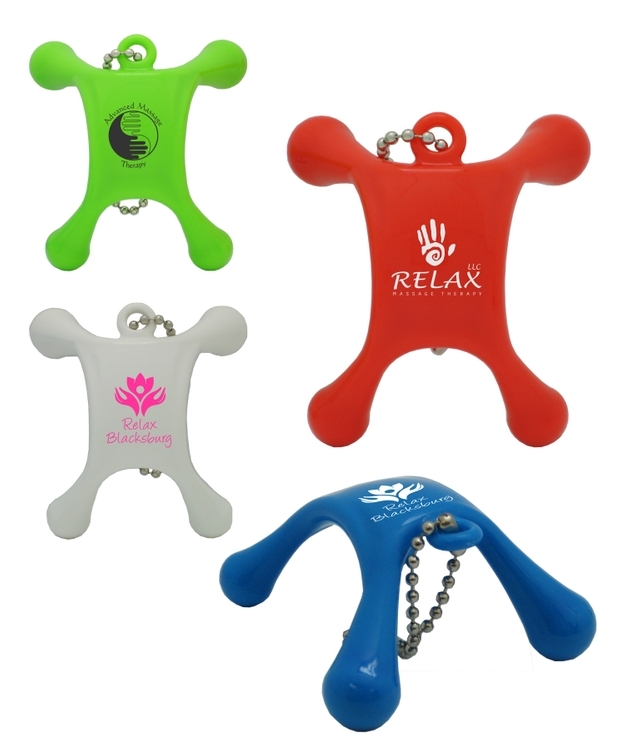 To help relax those tired muscles at home, the office or when you travel, this handy massager packs easily and is available in 3 colors to complement your company’s silkscreened logo, name or message. 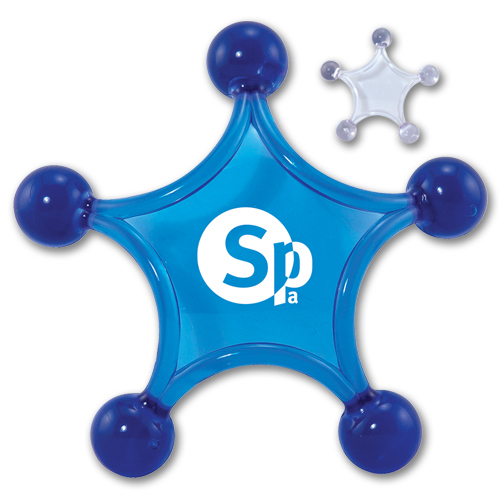 This portable favor is perfect for any project, business, conference or event. Take advantage of its exposure by ordering yours today! Union Printed, Mini Massager, With this Hand held massage tool you can treat yourself to a relaxing massage anytime, Friendly ergonomic design, feel for hand holding, it also can stand on desk steadily, great desk decoration. 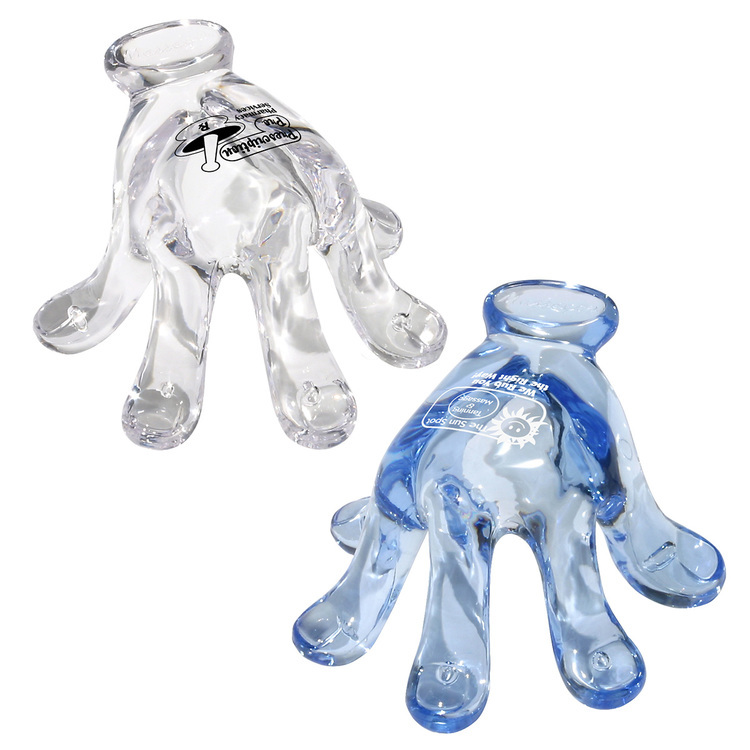 This palm size Massager fits anywhere, pocket, purse, Etc. Includes Bead Keychain, For Easy Carry with Your Keys or Handbag, This Makes a Great Gift that will be useful for years to come. Decorated in our Union Shop - Union Bug Available at No Charge! 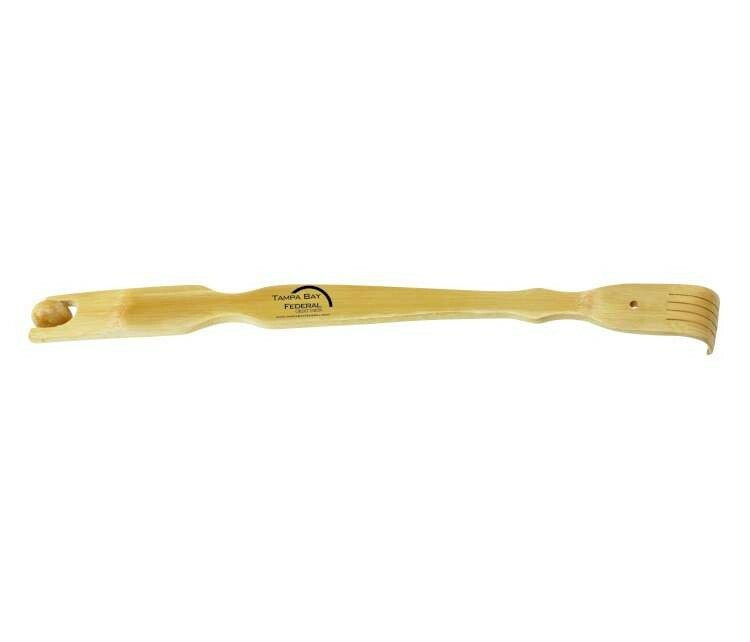 Who wouldn't like receiving this Eco-friendly wood massager? 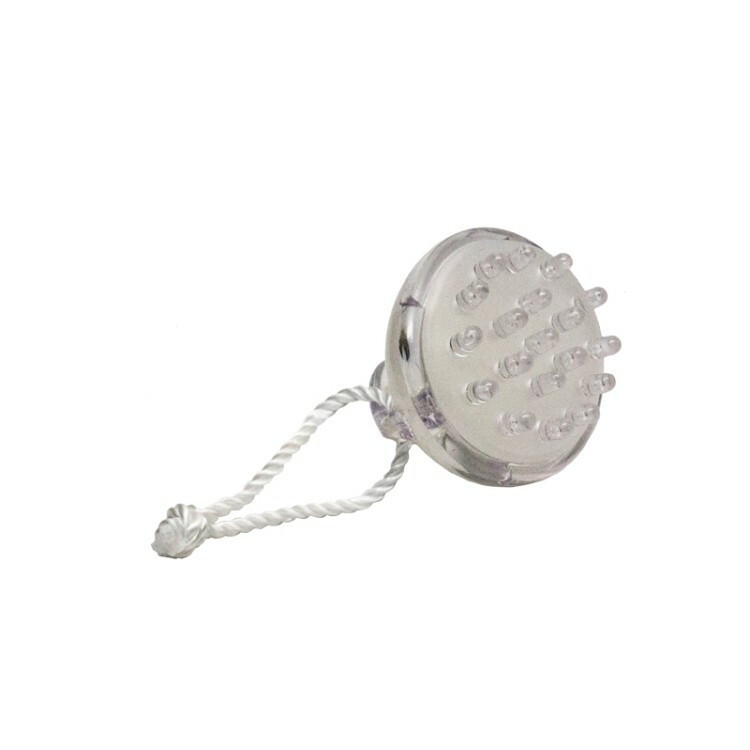 Customized with your company's information, your clients will truly think of you in appreciation every time they use this massager. Due to the handmade nature of this natural wood product, absolute uniformity of size and color cannot be guaranteed. Products are not intended for use by children or pets. They may present a choking hazard to children under 3 years of age. 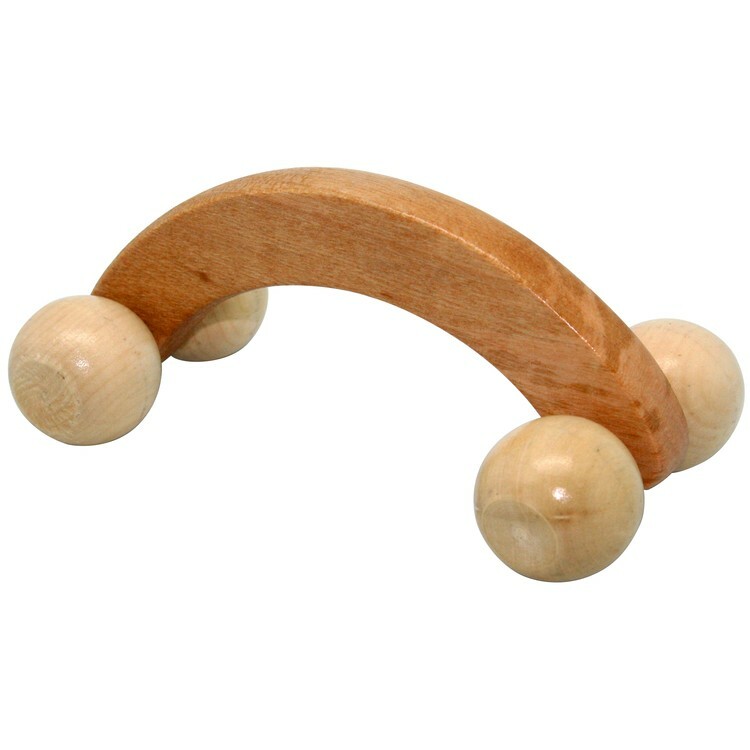 A arched roller face massager, Cool gel eye mask, Palm/foot massage ball, Clear plastic zippered bag with rope hand. Screen-Printing: Used for larger imprint areas on flat items. Availability listed on individual products. Up to a two-color imprint is available pending item and artwork. Call for details for two-color screen-printing. Additional charges, turnaround time and minimums will apply for a two-color screen-prints. 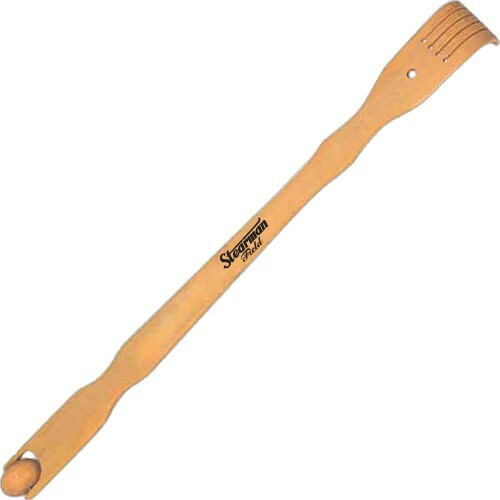 Body massager with convenient ergonomic handle.